Having celebrated turning three with four days of festivities in Sydney and its hometown of Nowra, one of Australia’s most out there breweries is bigger, older and wiser. Well, the first two at least. After all, how many of the fans of the weird and wild beers that have spewed forth from HopDog BeerWorks in the past three years would want co-owner and head brewer Tim Thomas getting all sensible? Signs are he’s not, certainly judging by some of the beers due for release in the coming weeks and months. Superbeast 2014 is on its way and sits “somewhere between a double IPA and barley wine” and features $600 of malt and $600 of hops in a mere 800 litre brew. And that’s pretty tame compared to another couple. “I’ve done a collaboration with Adam from Platinum Liquor,” explains Tim. “The idea was to create a beer to drink with the Coen brothers reimagination of True Grit so we created an American strong ale with some smoke and a little bit of rye that is currently ageing on Bourbon chips. So maybe not wiser but certainly bigger. Four times bigger these days, in fact. 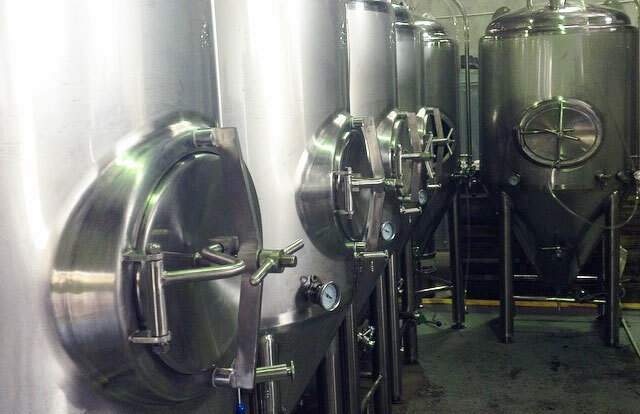 The brewery started out operating a 200 litre Braumeister brewhouse – capable of no more than four kegs per batch to put things in perspective – yet remarkably had beers in venues across the country within the first year. With an eye-catching schtick and unique releases regularly featuring unusual ingredients or untried combinations of ingredients and ageing processes, HopDog beers were soon being clutched close to many a beer geek’s heart and, as consistency has improved and demand has continued to grow, Tim and wife Tess had little choice but to upgrade. Thus, earlier this year a new brewery and additional tanks went in. “It was around Christmas last year when we ran out of beer again and went, ‘Screw it!’,” says Tim. “We had to upgrade as we were pedalling backwards. “[In some ways] it’s a great position to be in. The terrible part is when places are calling you wanting your beer and you have to tell them you don’t have any or that they need to wait a couple of weeks. Continuing with the themes of expansion and Start Wars, the fact they have more beer to package and distribute led Tim and Tess (“general manager, main maker of decisions in terms of buying stuff, the person who when she calls about an overdue invoice you know you have to pay, reiner in of my excesses”) have recently taken on their first permanent employee, going by the name Jedi Matt, although Tim admits Dogsbody Matt would be just as fitting as he handles cleaning, packaging, distribution and the like. As for how HopDog managed to get as far as its third anniversary having started out on such a tiny system, based in a town with little in the way of craft beer credentials and making frequently insane beers, Tim says: “I don’t know! A recent challenge that threatened to torpedo the business involved their bank. They went to see their existing one with regards to financing the expansion and were told they would be getting no more money. “We were freaking out,” says Tim. “Then we went around the corner to another bank and they said, ‘How much do you want?’. In terms of highlights from the first three years of HopDog, Tim plumps for this year’s Great Australasian Beer SpecTAPular in Melbourne during Good Beer Week. His beer, Brett the Bloody Orange, polled ninth out of more than 100 beers in the People’s Choice. He admits to having a soft spot for Horns Up too, the rye IPA that is one of his longest and most commonly brewed beers (look out for more now that he has secured a fresh supply of Riwaka hops from NZ) as well as the All Hallowed Ale that he releases each Halloween that has proved hugely popular. 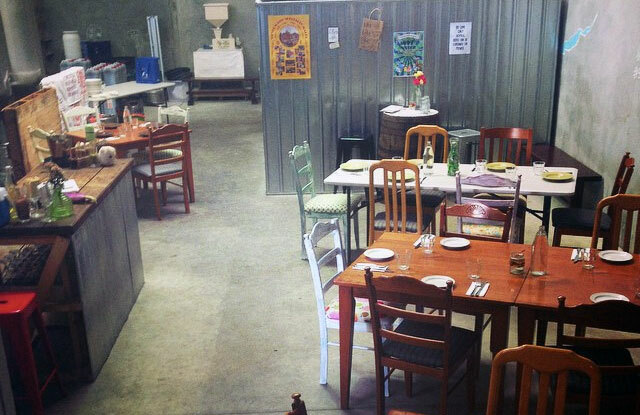 They have also hosted sit down events inside the brewery this year and plan to do so again in the future, making full use of the brewery bar that was opened on Australia Day. 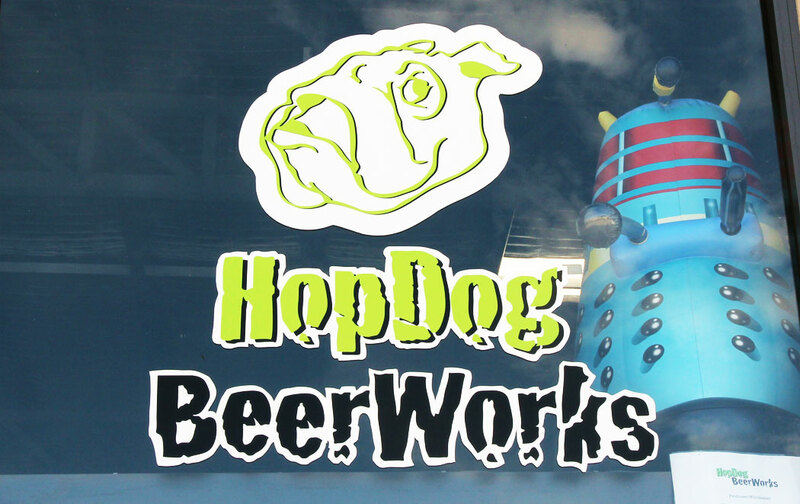 If you’d like to check out the work in progress, HopDog BeerWorks‘ home in Nowra is open from 10am Wednesday to Saturday. 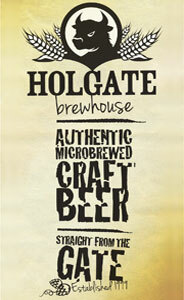 Look out for a host of HopDog collaborations and events during this year’s Sydney Craft Beer Week as well.